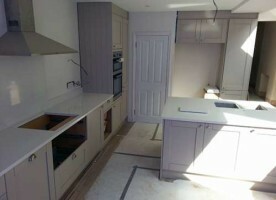 PM Granite Ltd is a young, creative and exciting company. The collective experience of our staff allow us to bring our valued clients a dynamic range of services as well as modern kitchen and bathroom solutions. With stonemasonry as our trade, we have grown to become a serious competitor in the UK market. 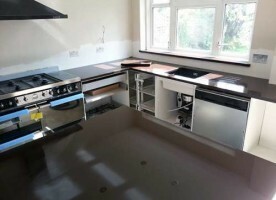 We specialise in crafting all types of stone, primarily granite, marble and quartz, into high quality worktops and splash backs. We’re about bringing you a quality product that stands the test of serious practical use and time. All of our products are for bathroom and kitchen use, the two parts of the whom that get used regularly, our success as a company is tied to our attention to detail. A low maintenance solution installed by experienced craftsmen and engineers. Equal to creating a durable piece of masonry, we want to craft something that is aesthetically pleasing and modern. Using carefully and selectively sourced stone, we take your ideas and stylistic aims and work them into our process. The look will last for years, a clean contemporary design that will not only impress guests but continue to be a pleasing feature to you as you enjoy your home. Throughout our entire consultation, manufacture and installation process you can rely on our experienced customer care to put your wants and desires first. We want you to have a high-class product. We take our craft very seriously, which is why you can trust us completely with your masonry work. Making our mark on the industry has always been about bringing the experience and focus of our professional team to the public, connecting our practice with the everyday needs of homeowners and families. 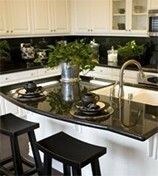 Look for the exquisite marble, quartz or granite worktops? Our London company is your best choice. Contact us today and let’s get talking about what PM Granite can do for you. A worktop is not just another practical surface, it’s a real feature of your kitchen. Regardless of the kind of stone which you choose, you can be proud of the bespoke working surface our experts deliver and install. With three fantastic kinds of stone to choose from, you’re sure to find something that fits your taste. 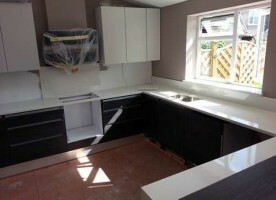 Granite worktops are among the most popular products that we craft, as a company. Appearance and durability are the core attractions of this kind of countertop. As a clean and rich looking stone it really catches the eye, becoming a stylistic statement as you enter the kitchen. The fact that the stone is available in a range of colourations and performs highly as a heavily used surface makes it a real dynamic stone choice. 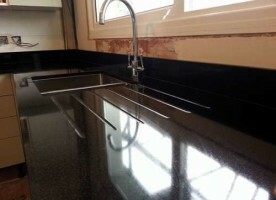 It gains a great rating across the worktop industry. 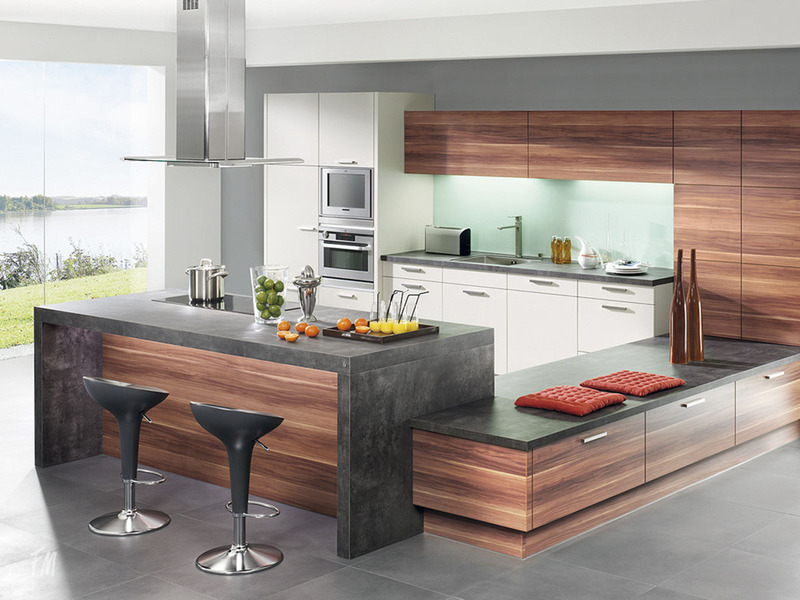 While we offer a range of natural stone worktops, we also offer the beautiful and versatile man-made quartz surface. 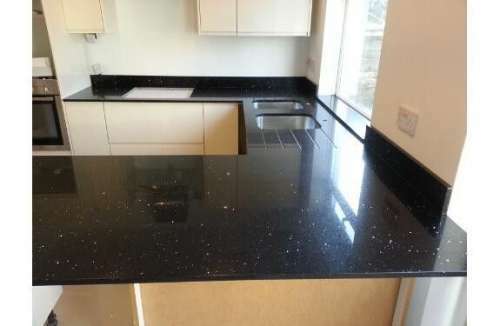 When we say man-made the quartz worktop is a brilliant composite material, 93% quartzia and 3% resin. 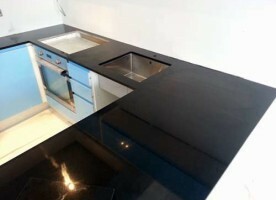 The resin allows much more creative control over the quartz stone. The remaining composition generally is made up of decorative ingredients. 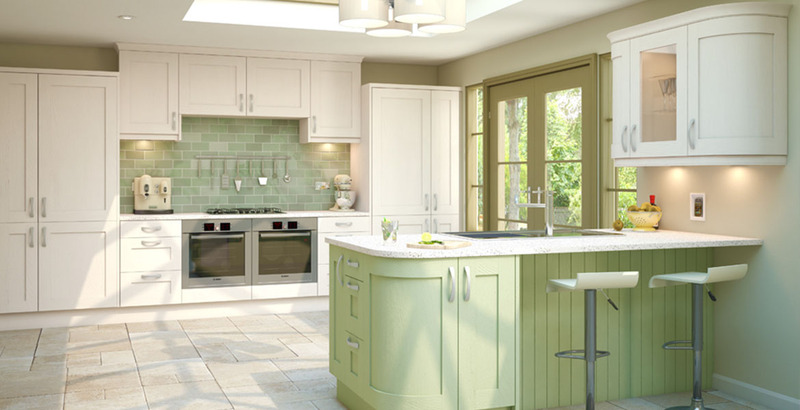 Due to it being a man-made composite, quartz is available in a range of over 30 different colours. Quartz can be manufactured to a specific colour or to mimic the natural veins and textures of granite and marble. Marble is a historically beautiful material. While it is only available in the small range of colours in which it naturally occurs, marble always makes for a stunning surface. Used throughout the centuries in building design and artistic sculpting, the veined stone is instantly recognisably rich. Marble has always been a popular choice with our clientele and is an industry favourite. 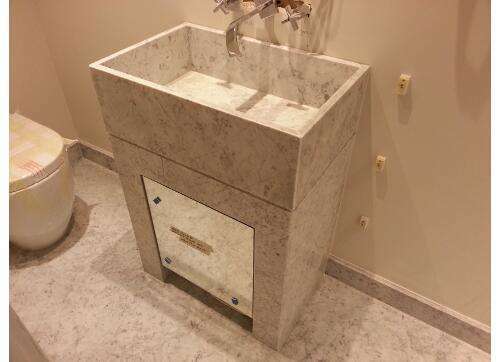 We source our natural marble from high-quality suppliers crafting the stone into a templated shape that you need, just as workable as granite. PM Granite offers a wide range of bathroom solutions also using our natural stone.The versatility and creative vision of our craftsmen allow us to impress customers the length of the M-25. Your bathroom should bring out your own unique personal taste, you’ll be using it every day.Exclusive and bespoke vanity top designs and styles can enrich a space and offer an exciting alternative to boring stock bathroom counter tops. Here at PM Granite capitalise space, even in smaller bathrooms. Creating practical space is a massive part of the modern styles we offer. Available in a range of materials, from granite to marble, vanity tops can be constructed to taste. 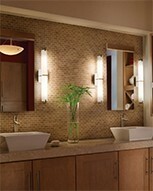 Sinks can be cut into the vanity counter surface or fit above. 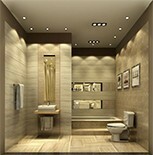 Tiling is the standard modern wall and floor solution when it comes to bathroom or even kitchen. The major advantage of tiling is that it is highly hygienic. In an environment like your bathroom, walls are often subject to serious condensation and water exposure. Most soft wall types would fall away, hence tiling emerged as an effective alternative. 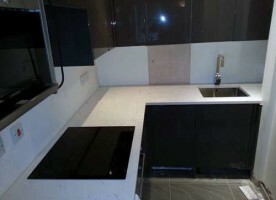 To bring luxury and elegance to any bathroom, you should ask about our fantastically affordable glass splash backs. Glass that is cut and installed by our expert team will bring a freshness to your bathroom. The contemporary glass splash back solution plays a significant part in the protection of your tiling and walls as well as looking the part.